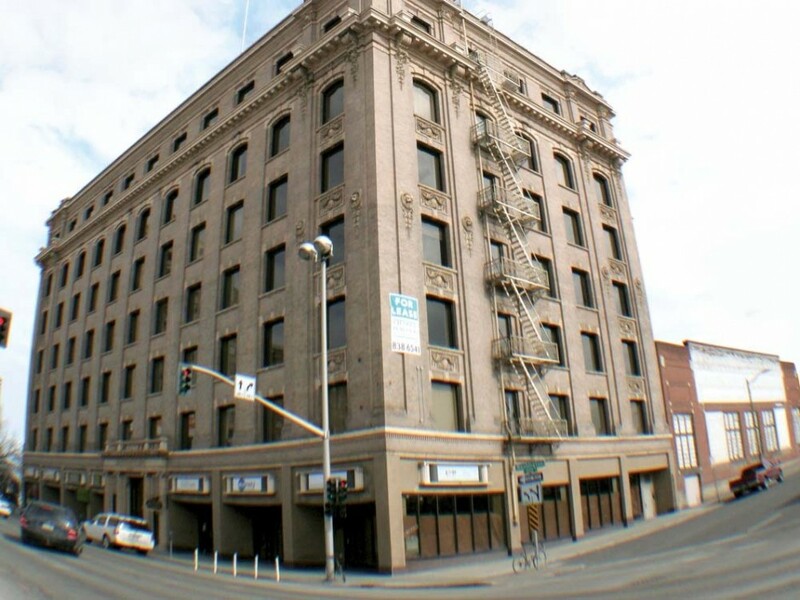 There are new plans for the historic Hutton Building in downtown Spokane, the Spokane Teachers Credit Union announced today. And wait a minute, that building looks familiar, because that’s the current home of Inlander HQ. STCU, the Inland Northwest’s largest credit union, obtained the building when it was foreclosed on last year, and decided to keep it instead of putting it up for sale. The credit union plans to open a branch on the main floor this coming year — its 17th branch — with additional office space for commerical lending staff. “We intend to continue growing our commercial lending program and it's logical for us to have a presence where those activities occur,” says president and CEO Tom Johnson, according to the news release. The Inlander is moving to a brand new headquarters in Kendall Yards this year — the latest construction photos on our bulletin board show the framing done and walls going up — so we were already planning to say goodbye to the Hutton Building. But for other occupants, the future remains unclear. Boar’s Head Tattoo Parlor, which faces onto the street, will be moving out of the building, tattoo artist Dustin Barnes says. For Sweet Frostings Blissful Bakeshop, the future seems a little clearer. Co-owner Judy Rozier believes that her business, which is also on street-level, will stay put. “I don’t believe I’m going to be affected at all,” she says. Rozier added that if necessary she would consider buying the space. Northwest Investors Advisors doesn't know what will happen to its space specifically, and they haven’t heard anything directly from STCU, president Sean Grubb says. He’s skeptical that other businesses will be interested in buying into the renovation project. The building itself is on the National Register of Historic Places, and STCU cited that history as a factor in their plans. The eponymous Huttons were Levi and May, and they met in Idaho when Levi was working on the railroad. They struck it rich in 1901 with the discovery of silver ore at the Hercules Mine, and the first four floors of the Hutton Building were finished in 1907. (Three more were added 1910, and you can see a slight difference in the brick color if you look hard enough.) The Huttons didn’t become isolated one-percenters — May was a major advocate for women’s suffrage in the Northwest, and they were active supporters of unions and labor reforms. They lived in an apartment on the fourth floor and threw big parties with notable guests, so it’s good to know the Inlander staff has been carrying on that fourth-floor tradition. 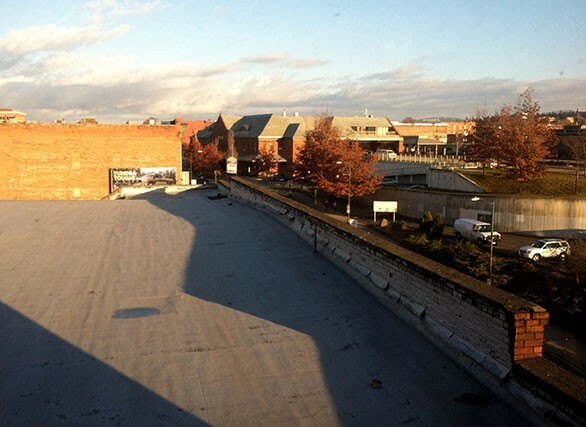 We really will miss the view, and the unique location in downtown Spokane. Here’s our view of the bus depot, looking out over what we refer to as Deadbird Lake.